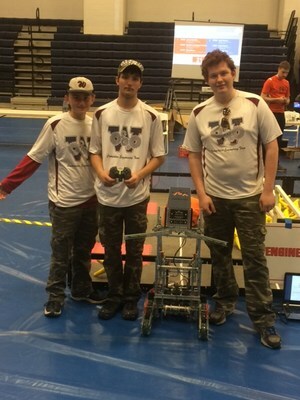 "The Windham Whippet Robotics Team had attended a Vex Robotics competition at Middletown High School on Saturday December 10, 2016 where they competed against 34 other High School teams and ended in 2nd place. The Windham Whippet Robotics team alliance with the 1st place team from Notre Dame Hs West Haven Ct.and became the Tournament Finalist. The Windham Whippet Robotics Team also came in 3rd for Programming Skills and Drivers Skills. The Tournament Finalist qualifies Windham for the Southern NewEngland Regionals in March 2017."